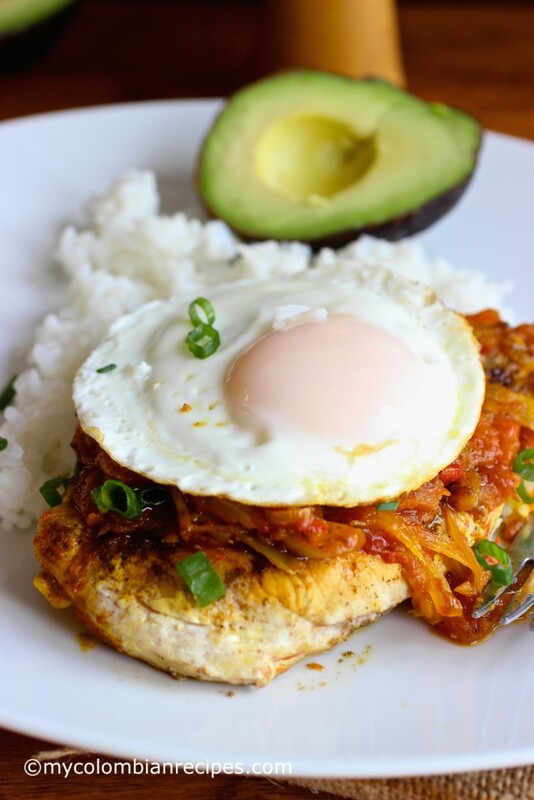 This Pollo a la Criolla a Caballo was inspired by a traditional and popular Colombian dish called Bistec a Caballo, which is basically a piece of steak with a tomato and onion sauce, topped with a fried egg. 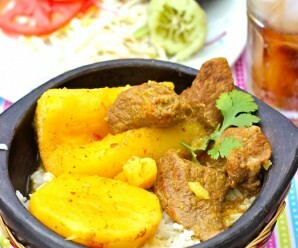 Bistec a Caballo is typically made with beef, usually sirloin or skirt, but this variation is made with chicken breast. If you are trying to eat less beef, this recipe might be perfect for you! 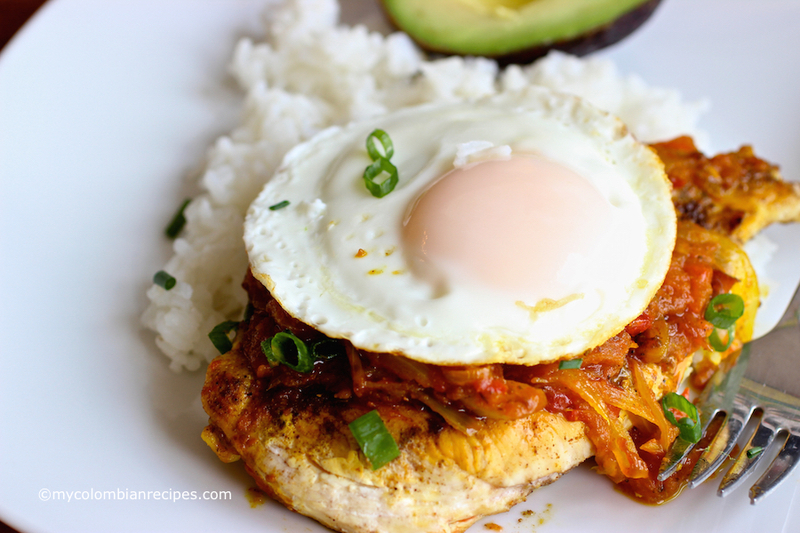 This chicken recipe has definitely earned itself a spot on my list of favorite go-to recipes and is absolutely one that I will be making again and again. 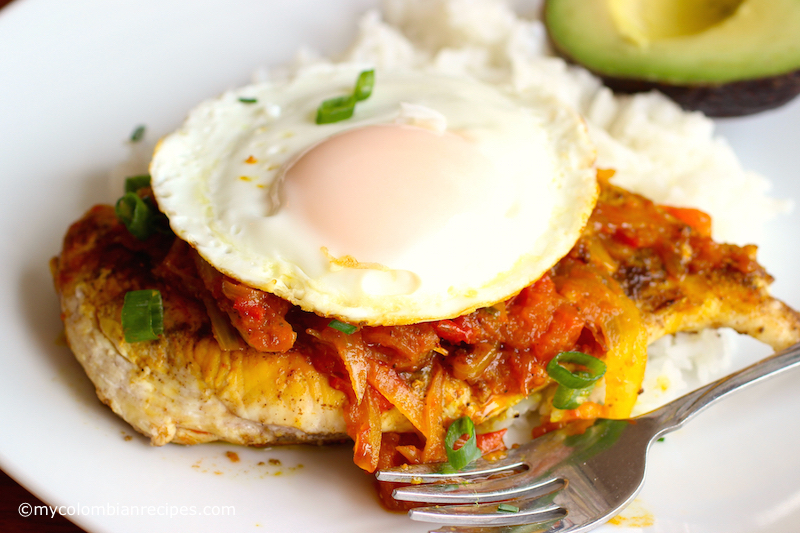 Another beautiful thing about this Pollo a la Criolla is that it’s very fast to make! 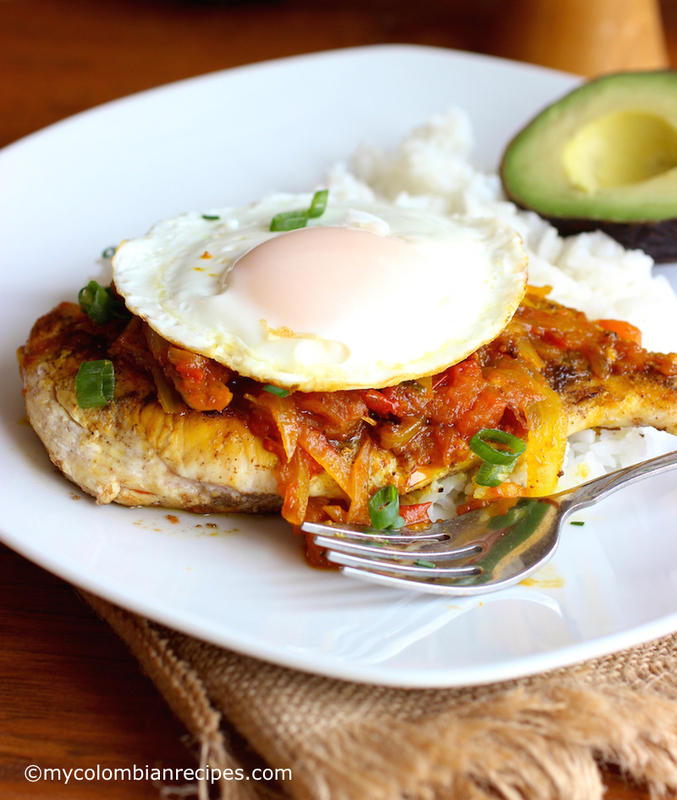 This recipe can easily be made in 30 minutes. 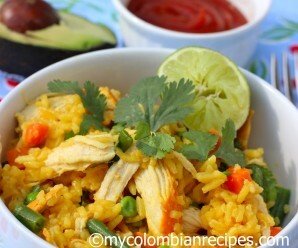 So, if you are craving easy to make Colombian food, this recipe might be for you! Season the chicken with cumin, salt and pepper. In a large sauce pan over medium heat, warm 2 tablespoons of oil. Cook the chicken until golden brown, about 5 minutes. Turn the chicken over and cook until golden brown, about 5 minutes more. Transfer to a plate. Add the rest of the oil to the saucepan, add the tomatoes, onions, garlic, salt and pepper and cook gently for 10 minutes, stirring until softened. Reduce the heat to low and cook for 10 minutes more, stirring occasionally until the sauce has thickened. Check and adjust the seasoning. 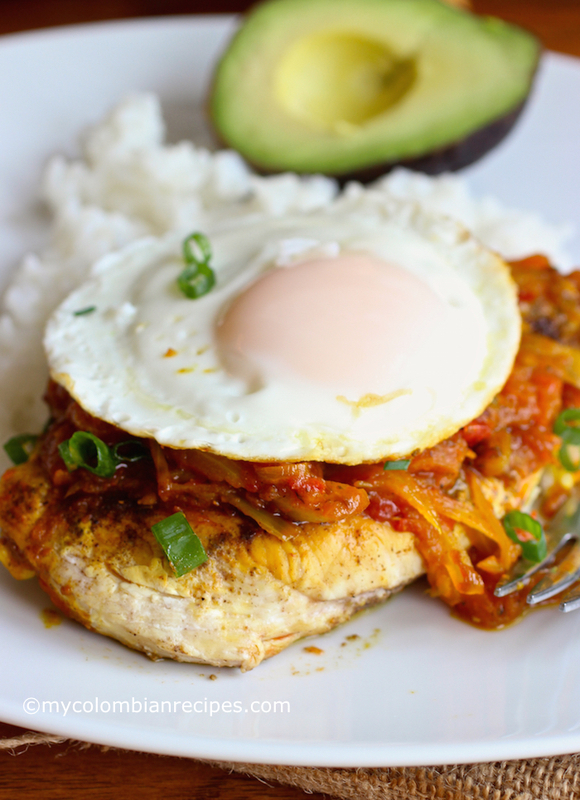 Pour the sauce over the cooked chicken breast and top with a fried egg. Pinned! 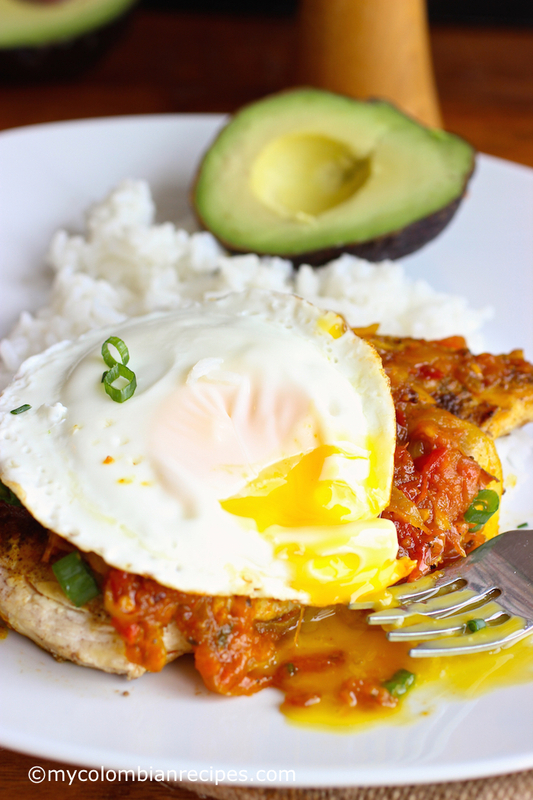 Looks really delicious and everything is better with a fried egg, especially a runny egg yolk one. This looks so very tasty! 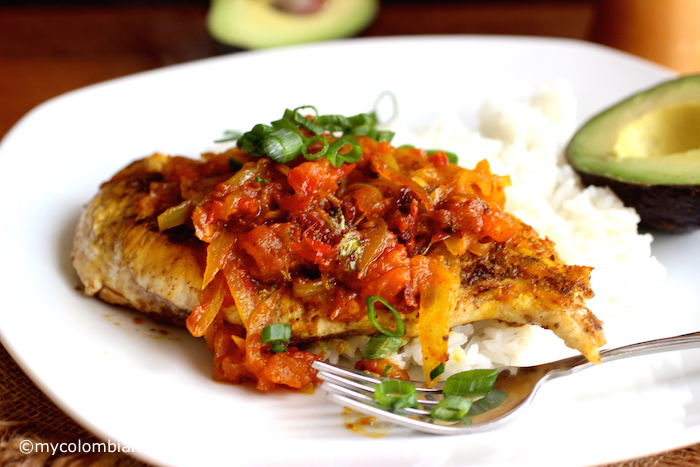 I eat chicken breast very often, but never thought of topping it with creole sauce. I love it. first let me say that your egg is prepared perfectly! 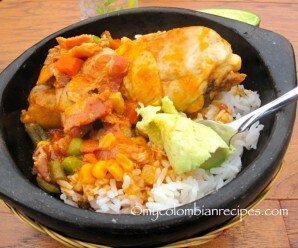 secondly, it rests atop some of the most scrumptious chicken i’ve ever seen! kudos! I made this recipe and it was exquisite!!! Thanks Erica! The recipe is very good but I can’t figure out where the cilantro fits in in the directions. Hola Erica! Felicitaciones por tu pagina; cada vez hay algo de que antojarse!!! 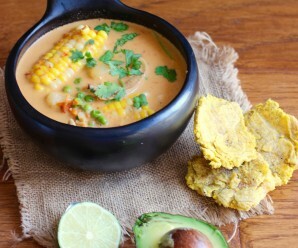 En esta receta me gustaría saber dónde va el cilantro, puesto que los sabores cambian durante y después de la cocción no me gustaria perderme el sabor del cilantro. Gracias!!! It says transfer chicken to plate but when do you put it back to cook it with the tomatoes and onions and when do you add the cilantro?